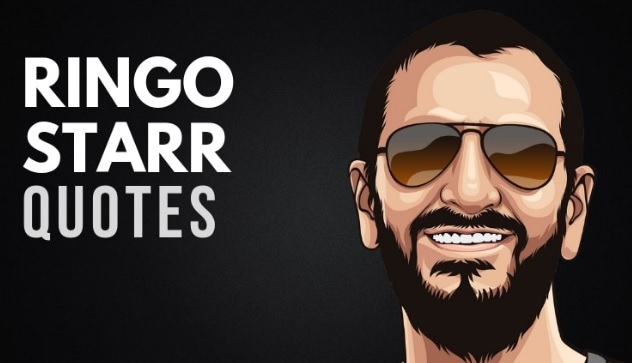 Posted on 24 januari, 2019 by Artillio Bergholtz Posted in Nyheter, Ringo Starr	. Vi kommer att presentera 35 inspirerande citat från självaste Ringo Starr i den här serien om 7 avsnitt. Fem citat om dagen tror vi blir lagom att presentera. Dessutom tror vi att det kan vara bra träning på det engelska språket också, inte sant?! Every time, my syncopation is different, because I can never play the same fill twice. I just can’t, never have been able to. Even as a Beatle, they’d say, ’Oh, double-track that.’ I don’t know how you do that, because when I’m in a fill I’m sort of this blackout, just this pure me coming out and I can’t pure me the same, twice. So, that’s that. I’ve never really done anything to create what has happened. It creates itself. I play weird. I’m always just behind. We [drummers] only have so much room. We’re not guitarists. At the end of the day, I can end up just totally wacky, because I’ve made mountains out of molehills. With meditation, I can keep them as molehills. In 1989 I sort of got back into the music business and one of the reasons I got back in is [that] I put the first All-Stars band together. It’s actually progressed from that every other year, or every two years, I’ve put that together… more and more realizing that’s what I do. End of part 1 out of 7. « De 20 rikaste rockstjärnorna 2019!